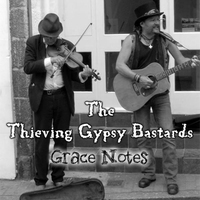 The 'Bastards' can often be found in Cornish St. Ives, always with instruments in hand and never far from a beer. Their gigs are renowned and they wanted this album to reflect the madcap musical adventure that seeing them live takes you on. A mixture of original songs and covers of well-loved classics, this is definitely one for the well ale-ed folky.